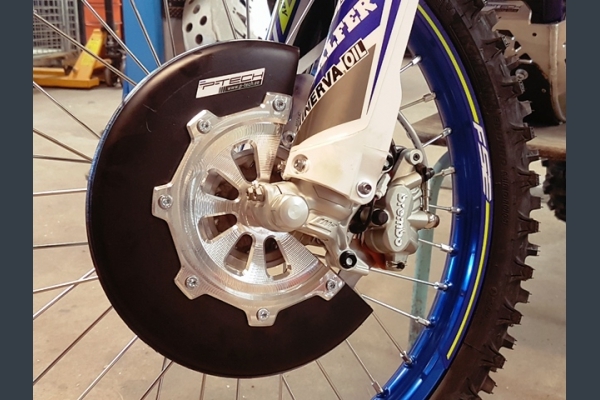 Front brake disc guard for Sherco 2018-2019. CNC machined from billet aluminium and rounded by 5mm plastic. 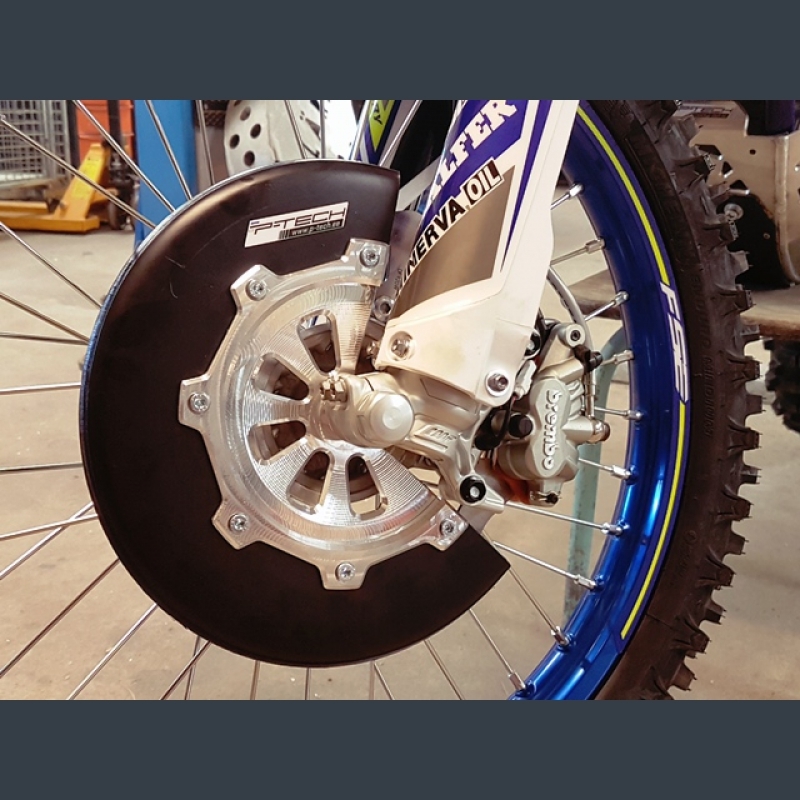 Protects your brake disc from rocks etc.